The actor shares his personal experiences in awe of the world around him. 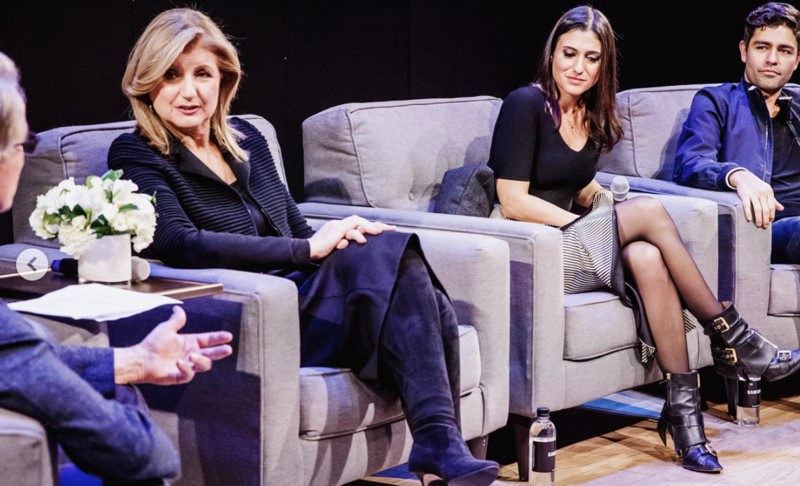 On Wednesday, February 7th, Thrive Global CEO Arianna Huffington hosted a panel with Samsung CMO Marc Mathieu in New York’s Meatpacking District. The event also included Laurie Segall, senior technology correspondent at CNN, and actor and entrepreneur Adrian Grenier, who offered their experiences around the theme of Technology & Humanity. “We pour a bunch of concrete, we build a bunch of buildings and we put a bunch of phones in our hands—we get disconnected from our nature,” Grenier says. The actor reminded the audience that disconnecting from technology and reconnecting with nature is essential in today’s world. You can do so easily with Thrive Global’s new app. We need to change cultural norms to make sure the technology in our lives is augmenting our humanity, instead of consuming it. Watch below to hear more. Kelsey Murray is a Senior Editor, Audience Engagement at Thrive Global.